I first met Lemmy in 1977. We were both friends with Mitch Mitchell; Lemmy loved Hendrix, whom he roadied for when he lived with Noel Redding. 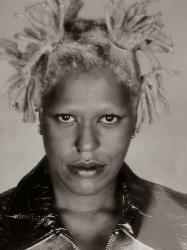 We were also friends with Kim Gardner from the Creation, who owned the Cat and Fiddle. Our real connection, though, was through English Frank, who was Lemmy’s first manager. We spent a lot of time in the studio on Santa Monica and Vine. I would read his lyrics as he wrote them in his notebook. I was his drummer, Philthy’s girlfriend, as much as anyone could be his girlfriend. Philthy’s girlfriend was speed. He was just fun to talk to and he loved to watch Court TV all day. Lemmy and Philthy would be joking around; those two were like the 3 stooges, but you only needed 2 of them. One day Phil complained to me. “Lemmy steals all my girlfriends,” and I understood why. Lemmy had a lot to talk about, and he was always vibrant. He had an extremely dry wit I decided to get closer to him because he was always so kind. He was always a gentleman to me. I can’t say he was like that with other women. I have seen him on the prowl. He was fond of strippers and such. Lemmy always invited me to Motorhead shows. Me, being a punk, turned him down a thousand times. But i finally saw him at the Palace. My God, it was great. He was loud and proud, and I was proud of him and for him. We drank a lot of Jack Daniels after the show. At one point we looked down and there was blood all over the floor. Someone had stepped on my toe with steel-toed boots after the show and cut it in half. The floor was covered with blood. Lemmy looked at me and said, “Gee, Tequila, you are always causing trouble.” The guy was always making me laugh. Lemmy was an intelligent well informed person. He was one of the sweetest guys I ever knew. I have friends who make a lot of noise about his love of Nazi Memorabilia. 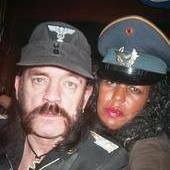 Lemmy was not a Nazi any more than if you play Cowboys and Indians it would make you a cowboy. He enjoyed collecting things. He once showed me a piece of the Titanic. But his apartment was full of German things, daggers and insignia, Jack Boots and helmets with bullet holes in them. He was surrounded by the death of the German Reich. He even had a Christmas card from Hitler, which he said we were not allowed to photograph.He would be the first to tell you don’t hate the player, hate the game. He truly was a gamer. He loved women, he loved music, and he never stopped playing even after the doctors told him to slow down. The last time I saw Lemmy he was receiving a commendation from the city of Los Angeles. I was there to Cheer him on at City Hall. He asked me to start wearing this hat. that is as close to an engagement ring as I got. 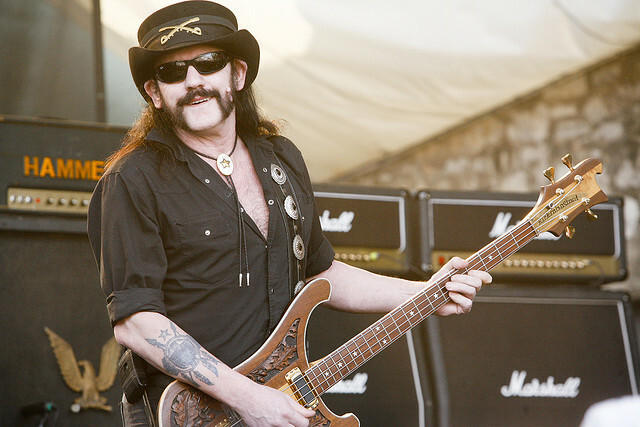 This entry was posted in Music, News & Sports and tagged lemmy, motorhead, remembering lemmy. Bookmark the permalink.